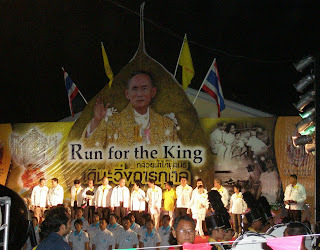 The King of Thailand, Bhumibol Adulyadej, turned 81 this December and the entire Country stood still. 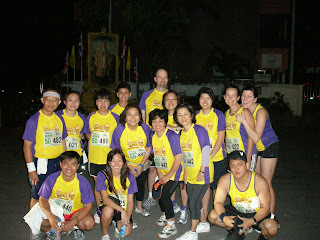 Everyone, except the hundreds that ran the 10.5K in his honor. 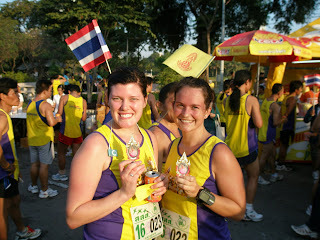 All dressed in yellow, the color of the King, we carried flags, lit candles and paid respect to His Majesty while running. A group of about 12 teachers and staff from our school joined in on the fun.